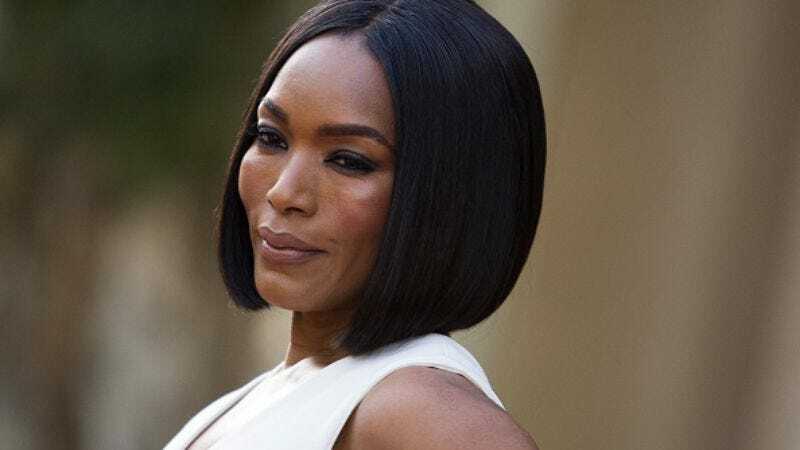 Although she’s currently busy haunting our screens as part of American Horror Story: Roanoke, we wouldn’t mind seeing Angela Bassett in just about everything. There are lots of projects that could benefit from her presence, but every other showrunner’s going to have to get in line, as Aziz Ansari’s already snagged the Oscar-nominated actress for the second season of Master Of None. That news comes from Bassett herself, who talked about her role with TV Guide while walking the red carpet at the Emmys. The AHS stalwart, who recently appeared in Spike Lee’s Chi-Raq, said she’s going to play up her comedic side on the Netflix series, which scored its first Emmy (for Outstanding Writing for a Comedy Series) last night. Bassett has signed on to play the cool, laid-back mother of one of Ansari’s friends; she’ll reportedly “have a lot to learn,” though we don’t know about what yet. After all, who could possibly have anything to teach Angela Bassett? But whatever those lessons are, they’ll presumably be part of the flashbacks in which she’ll appear throughout the second season.